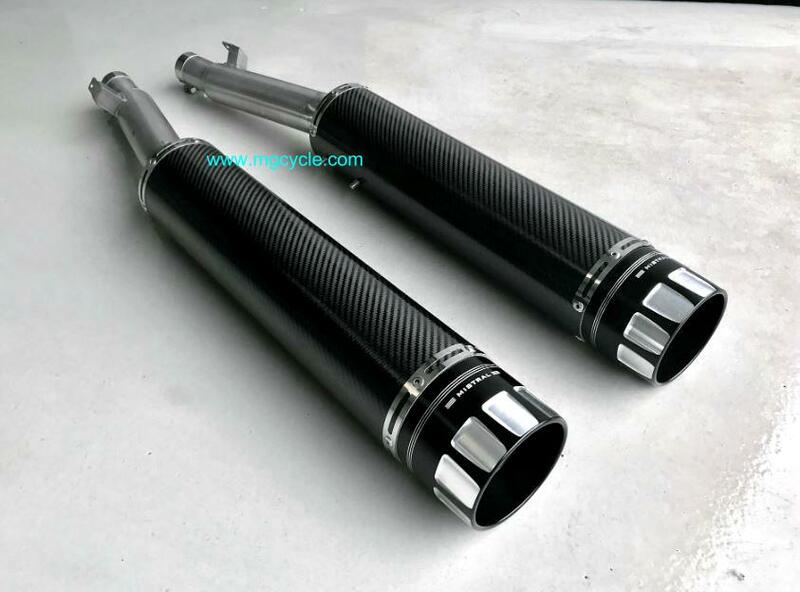 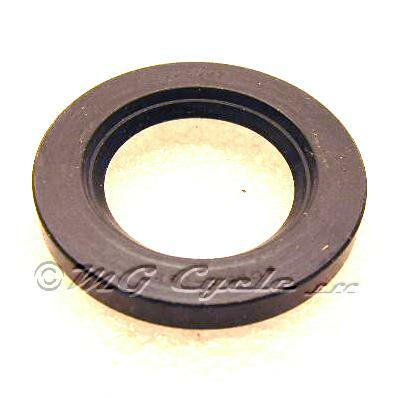 Fork seal 1100 Sport Injected, Centauro, Daytona RS, for upside down WP forks. 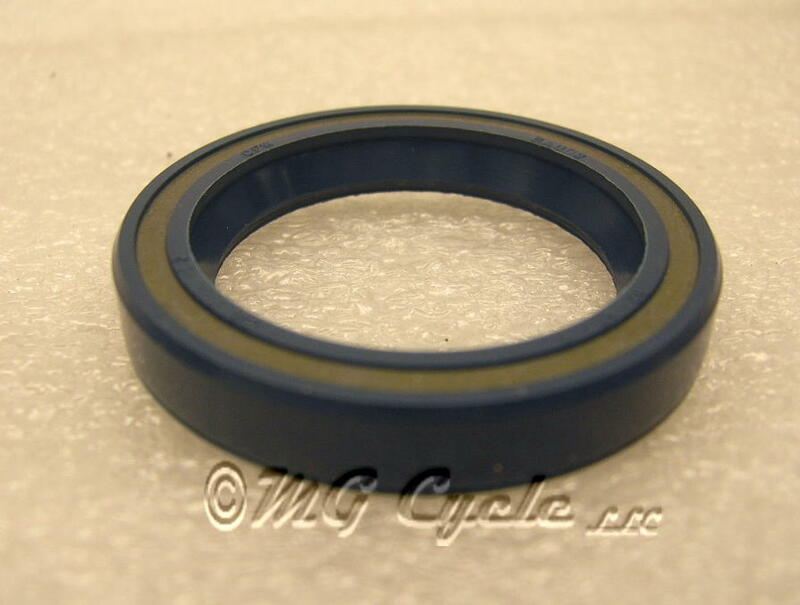 This is a high quality fork seal. 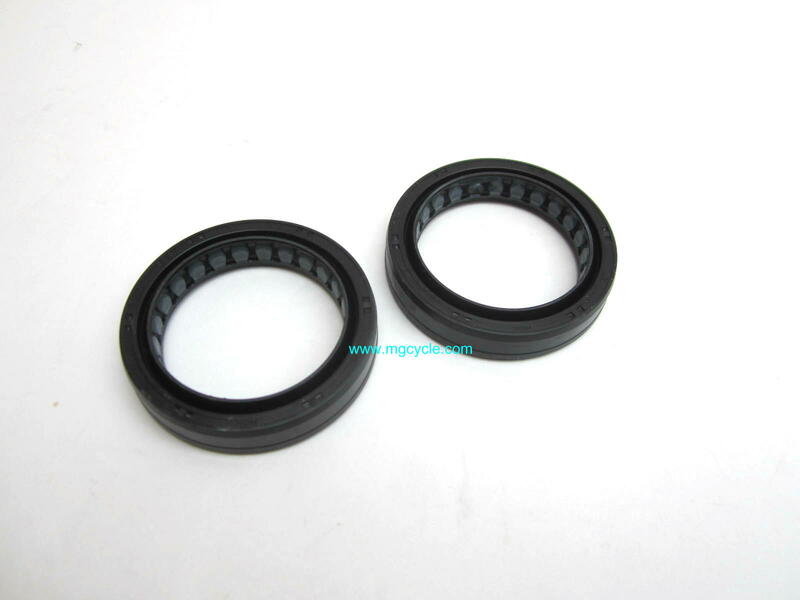 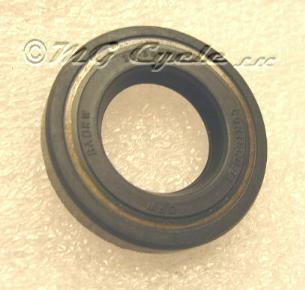 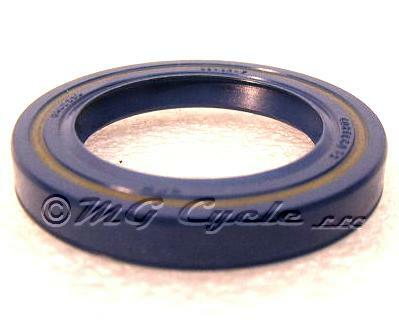 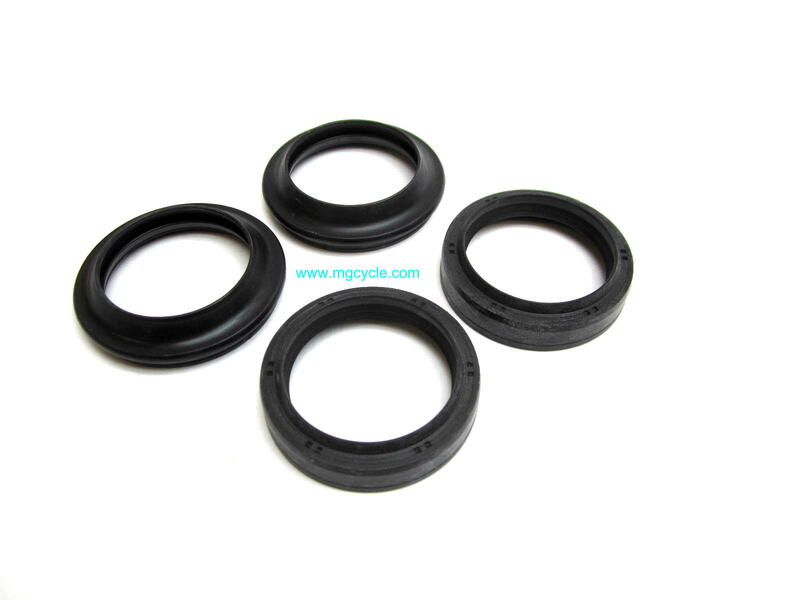 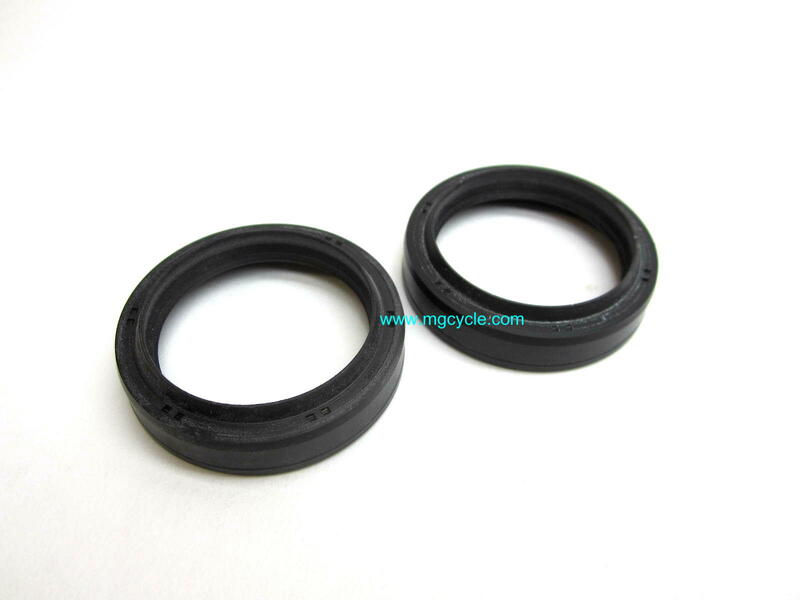 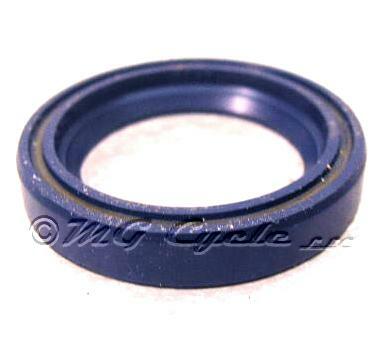 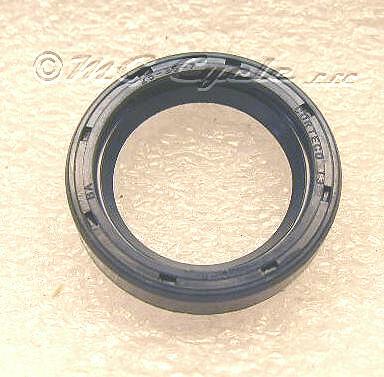 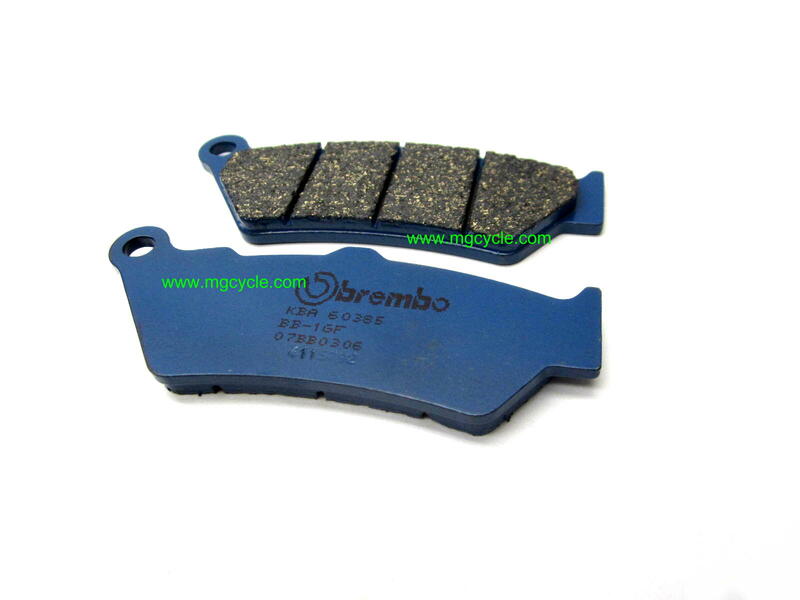 Fork seal set, sold as a pair, 41.7mm, 1996 Daytona Racing, 1994-1996 1100 Sport carb, Daytona 1992-95, Quota ES 1100 . 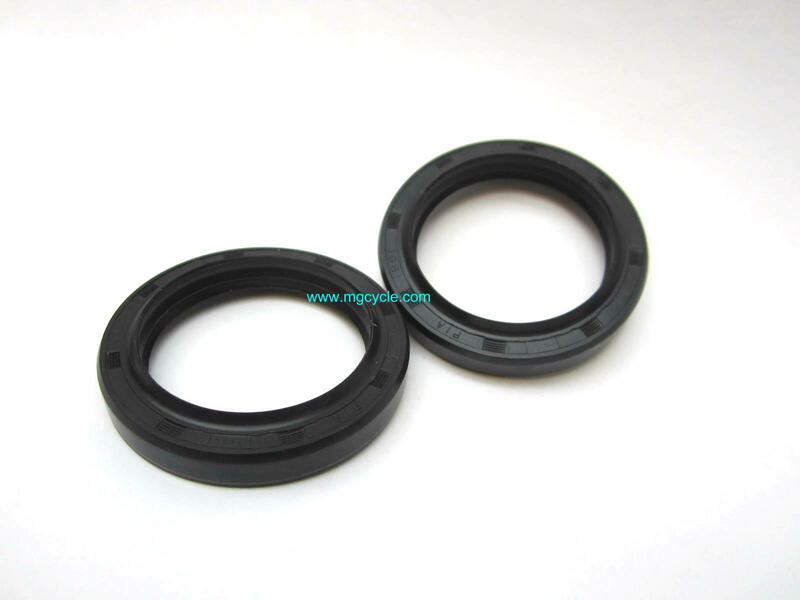 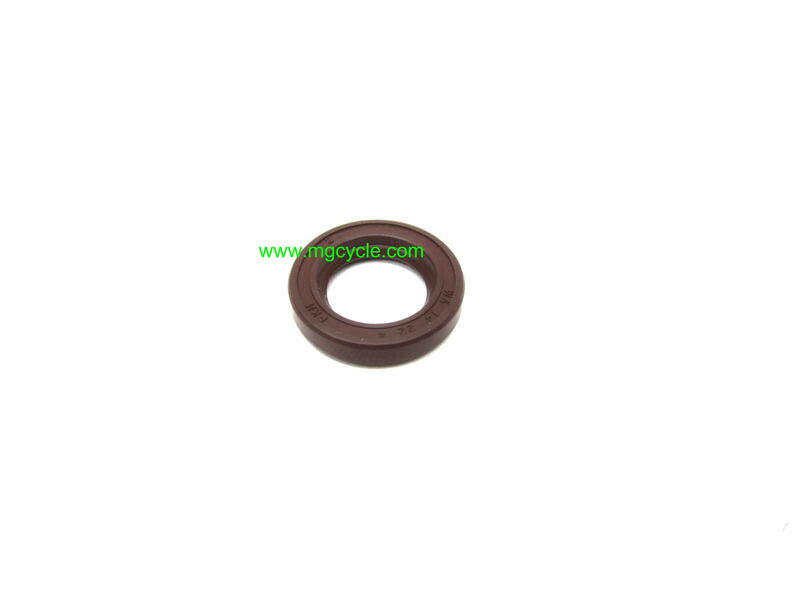 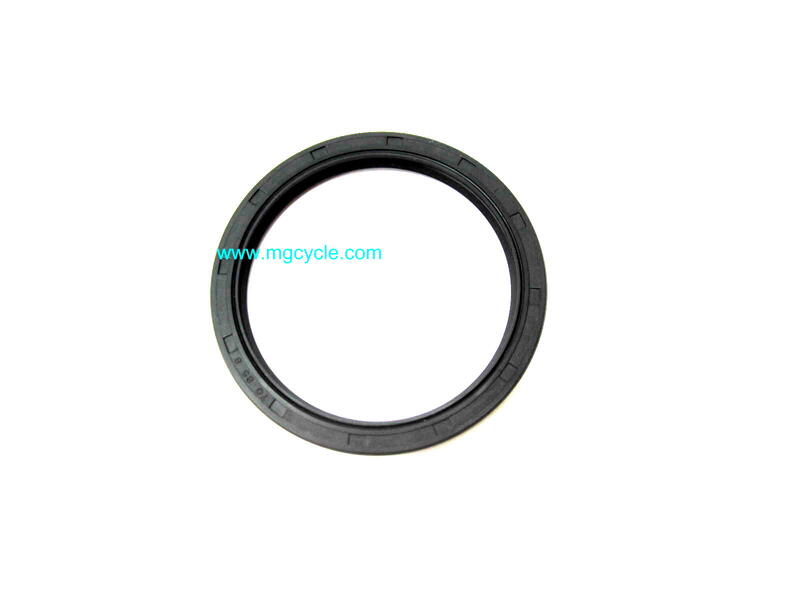 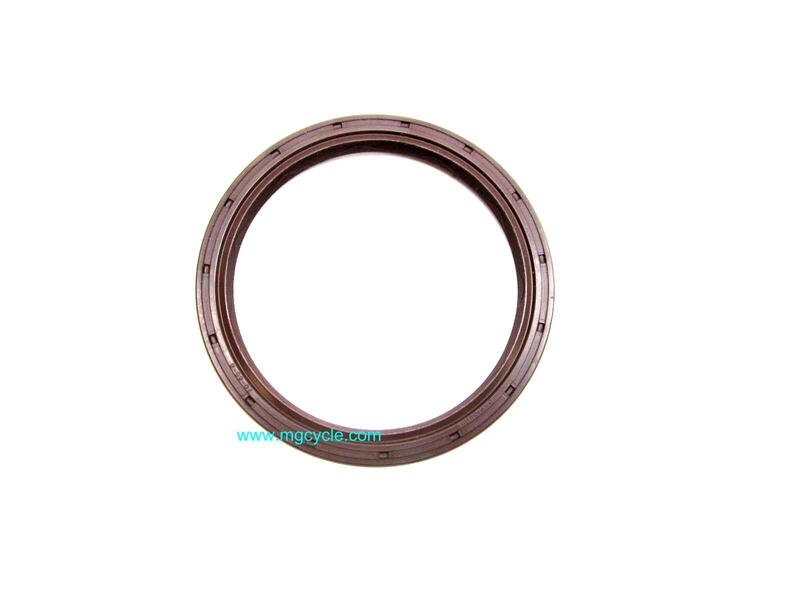 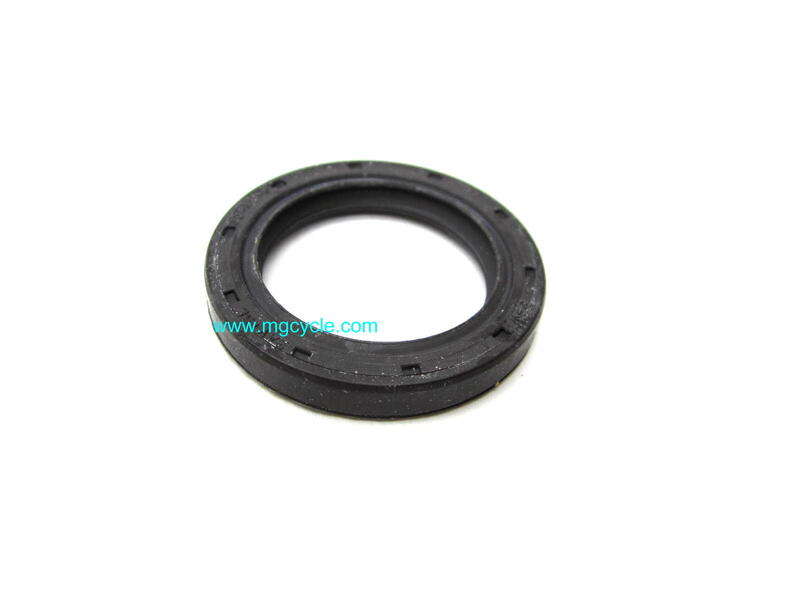 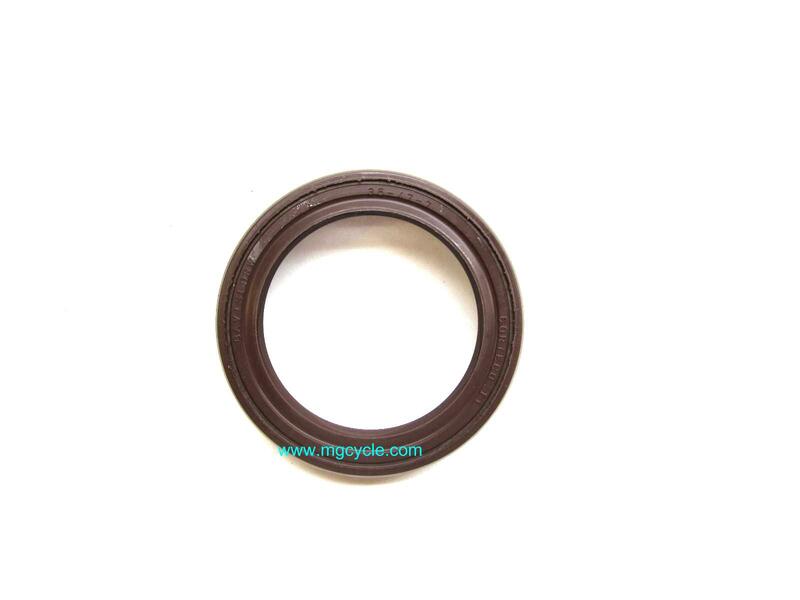 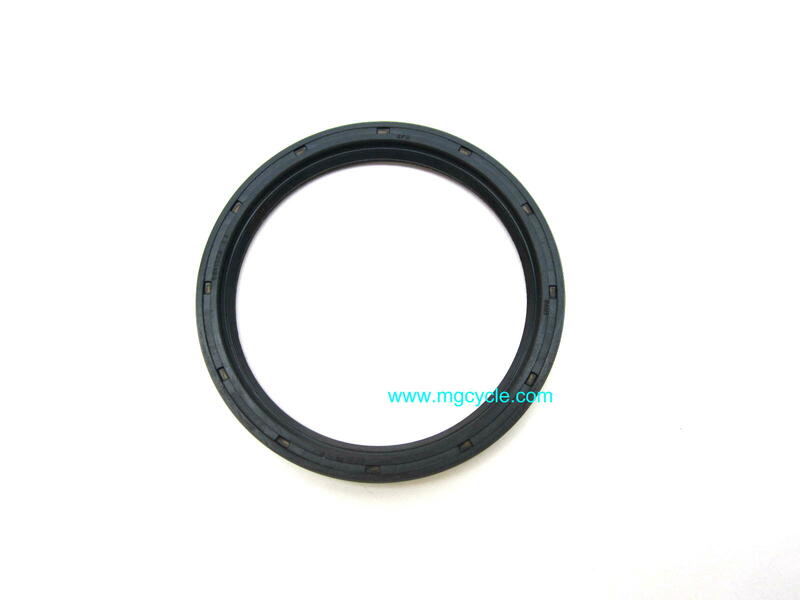 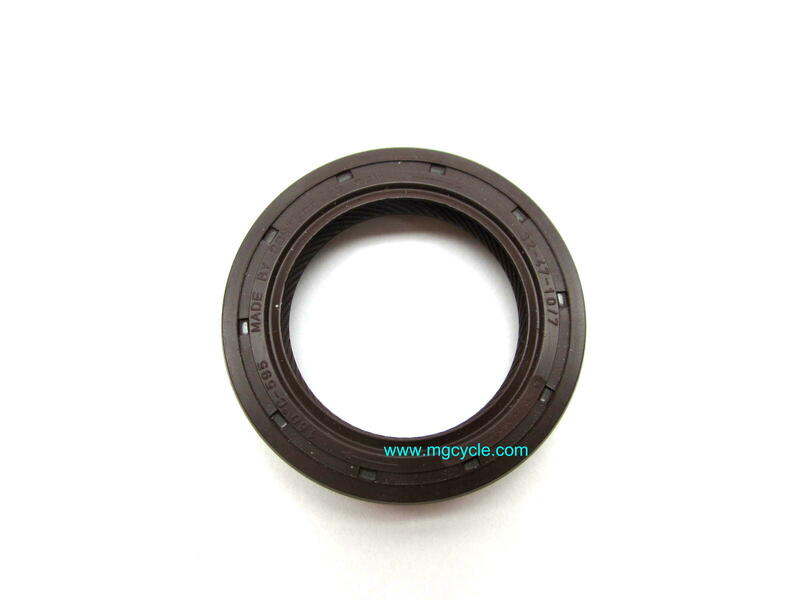 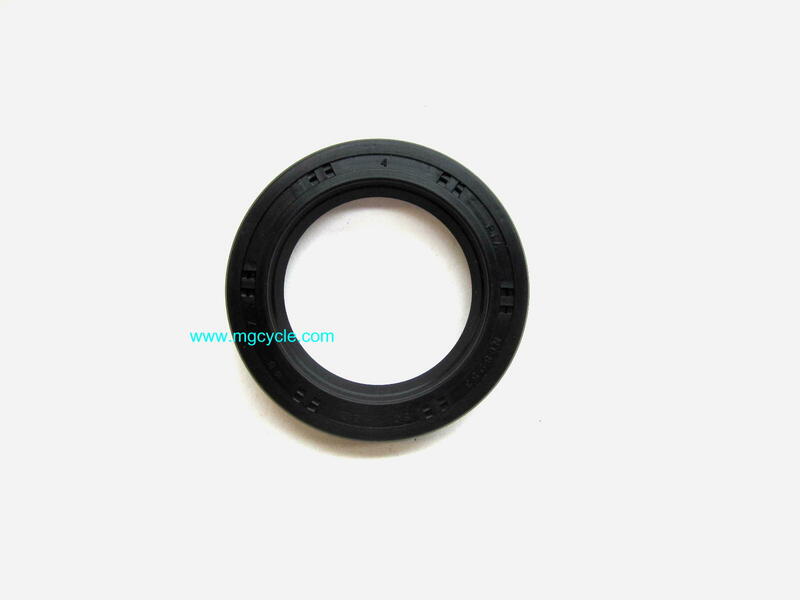 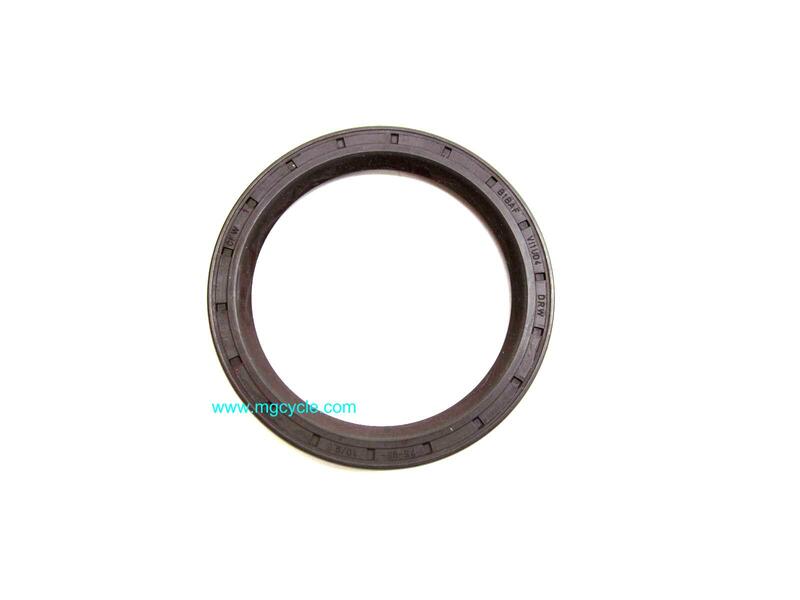 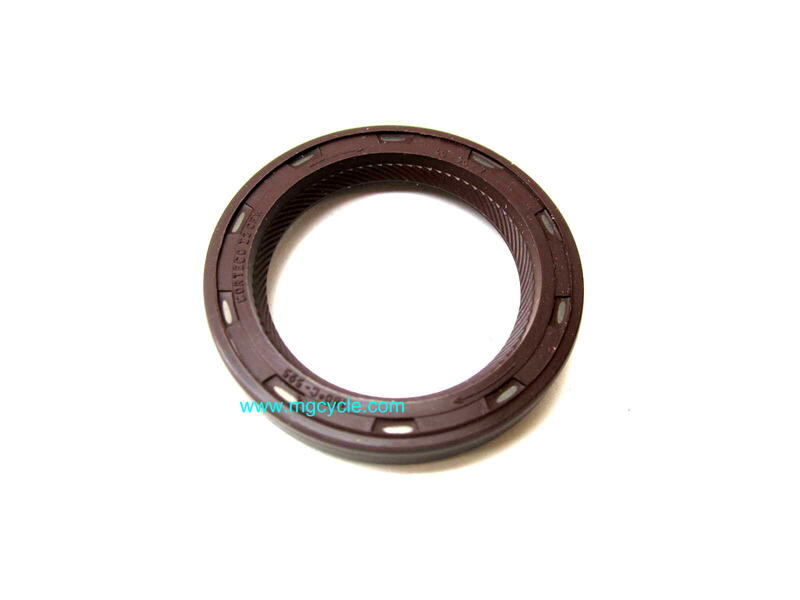 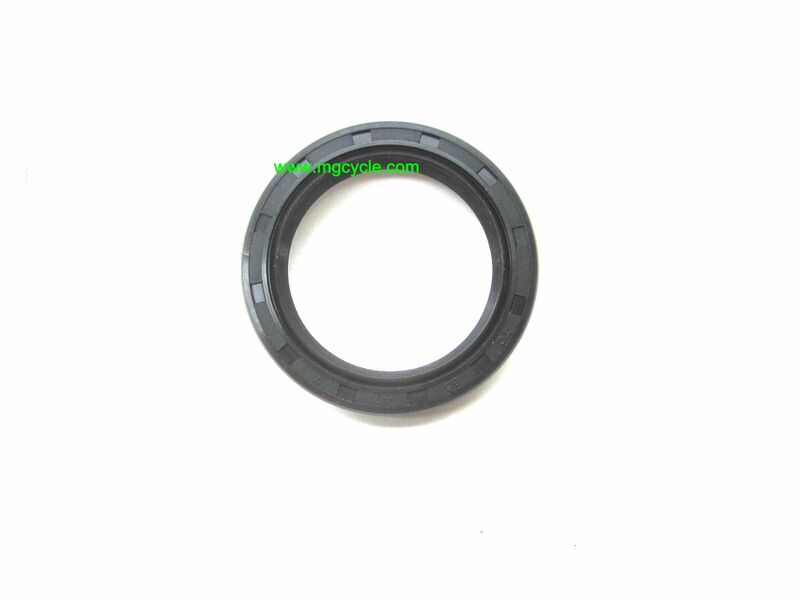 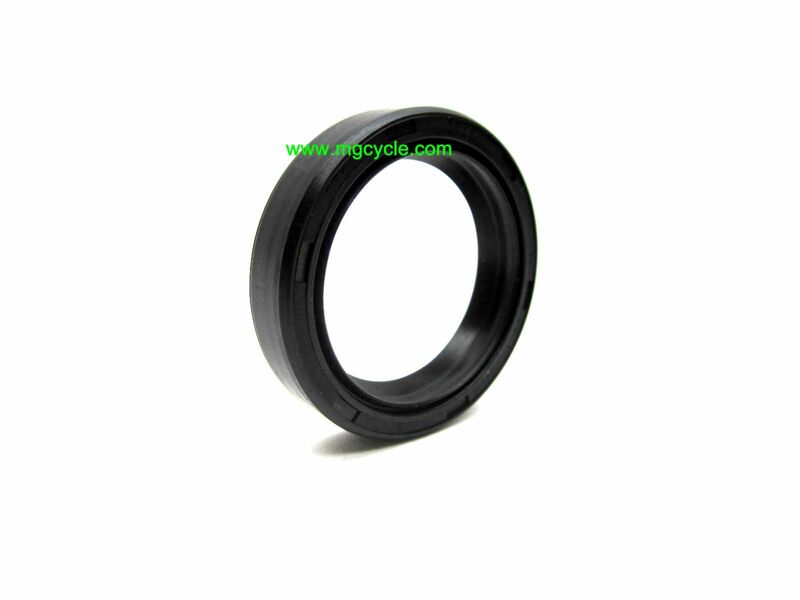 Automatic transmission fluid pump seal, Convert, Cal II Automatic. 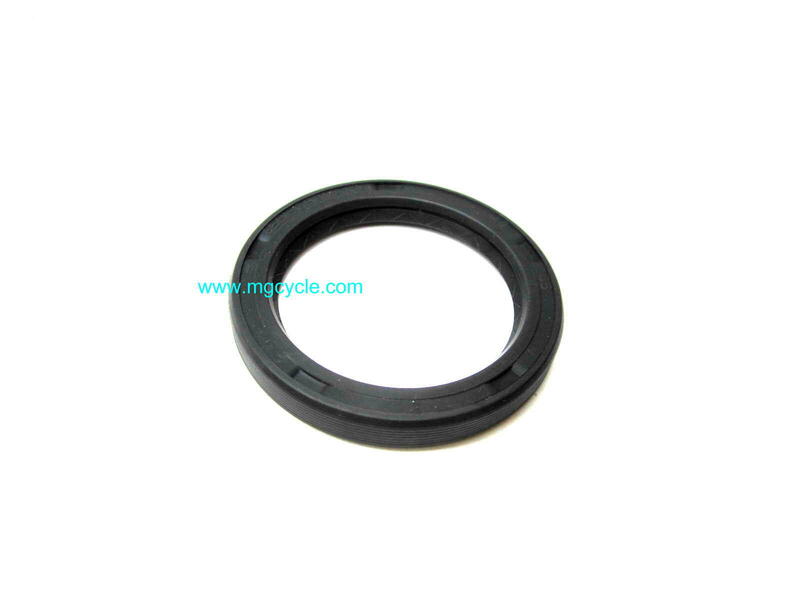 Seals the back side of the pump instide the timing cover. 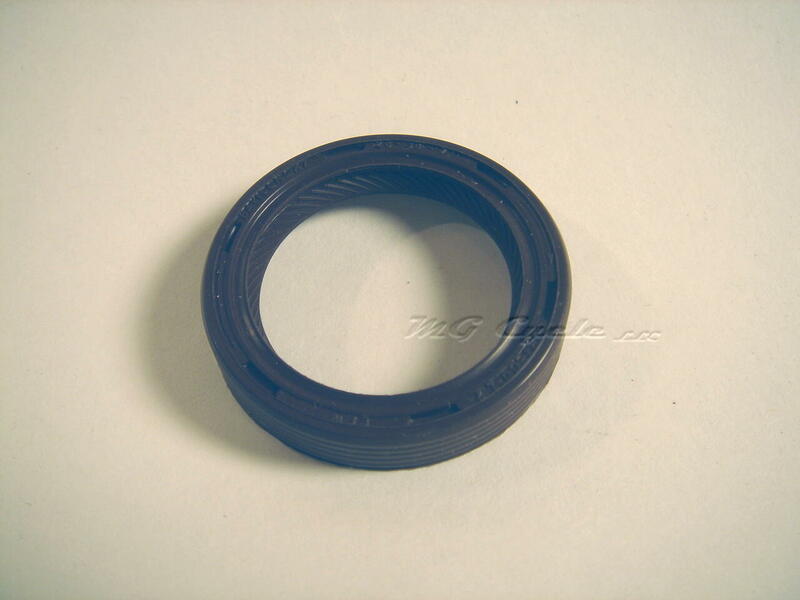 Seal, 4 speed transmission input shaft on V700, Ambassador, and 1969 to 1971 V750 Special, also used in V1000 Convert transmission. 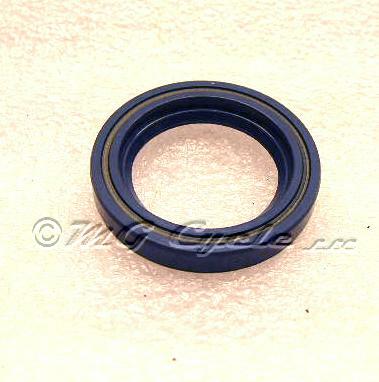 Quality Italian made front transmission seal V65C, V65SP, V65TT, Lario, Nevada, Nevada Club. 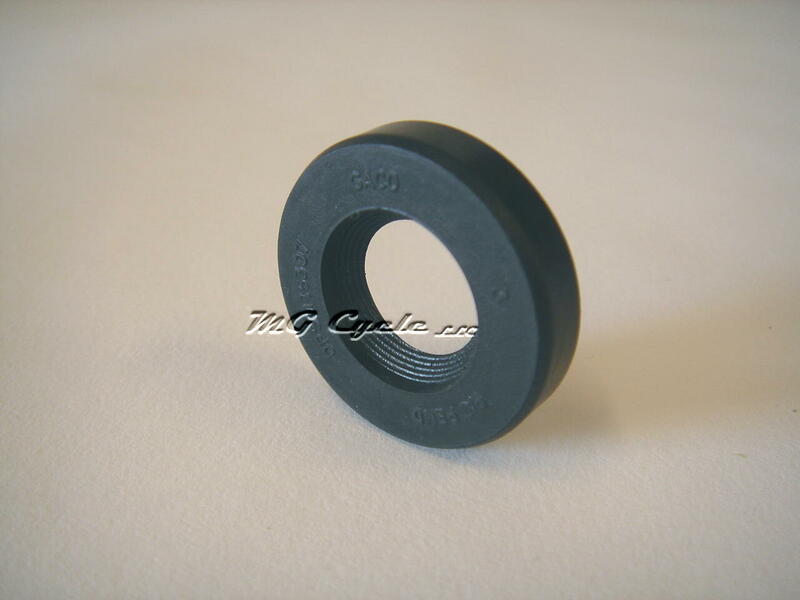 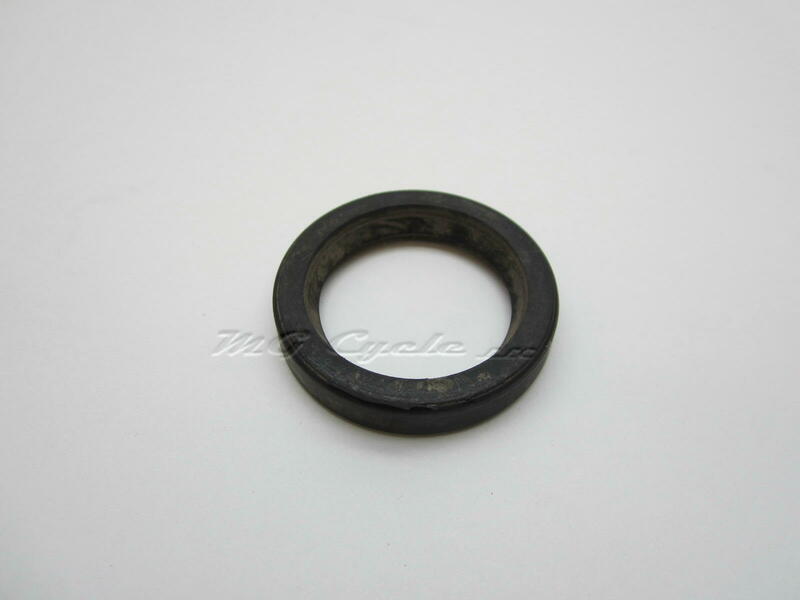 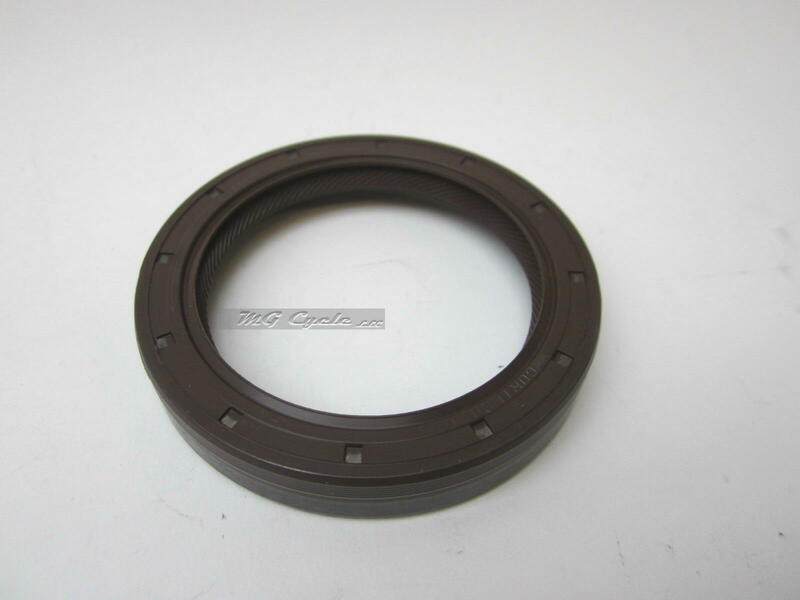 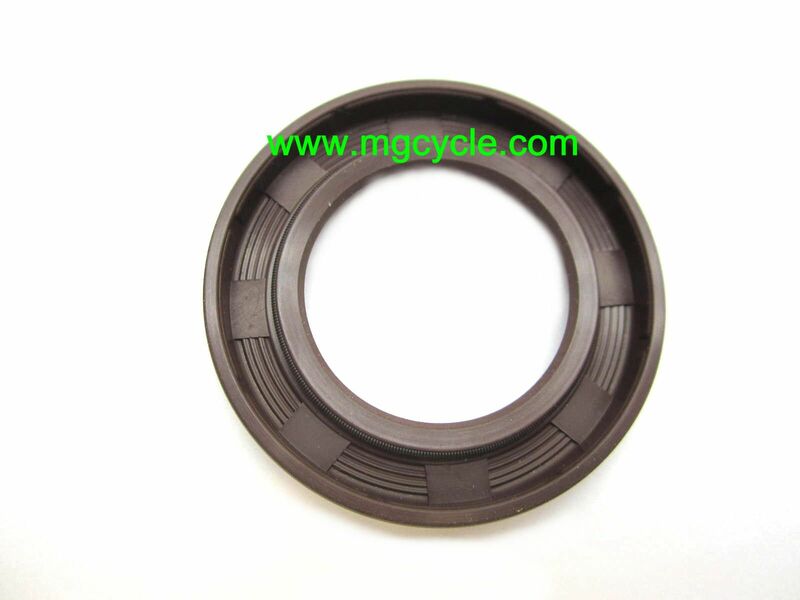 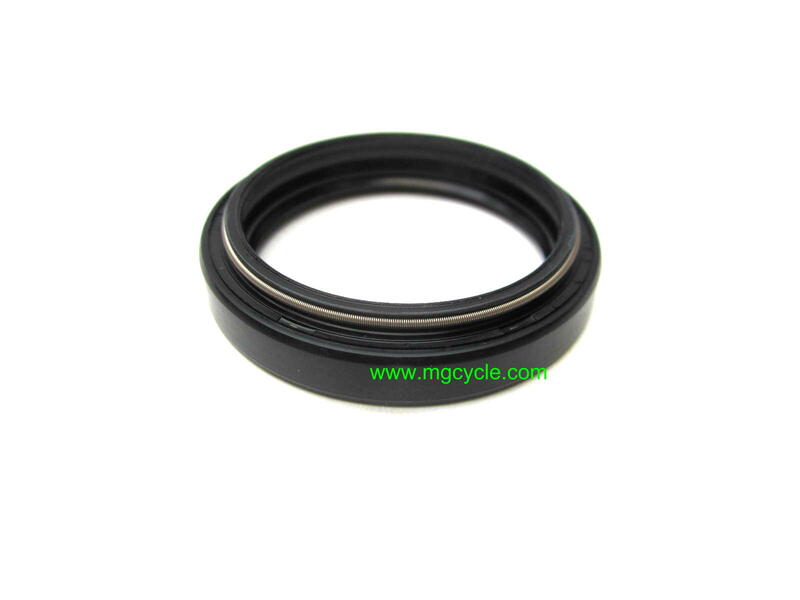 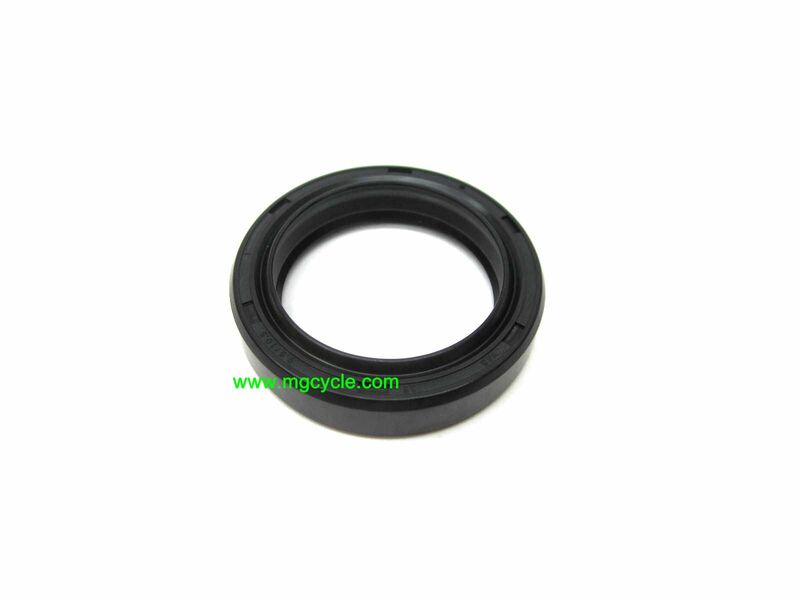 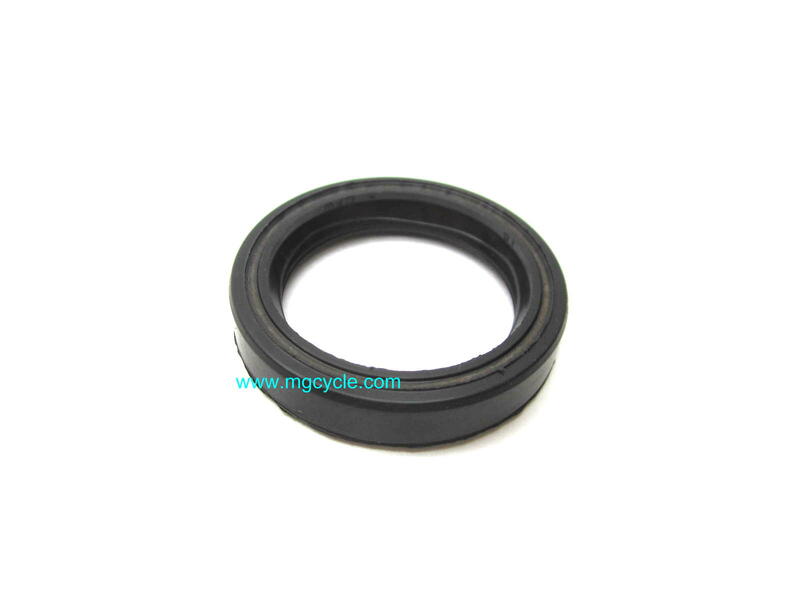 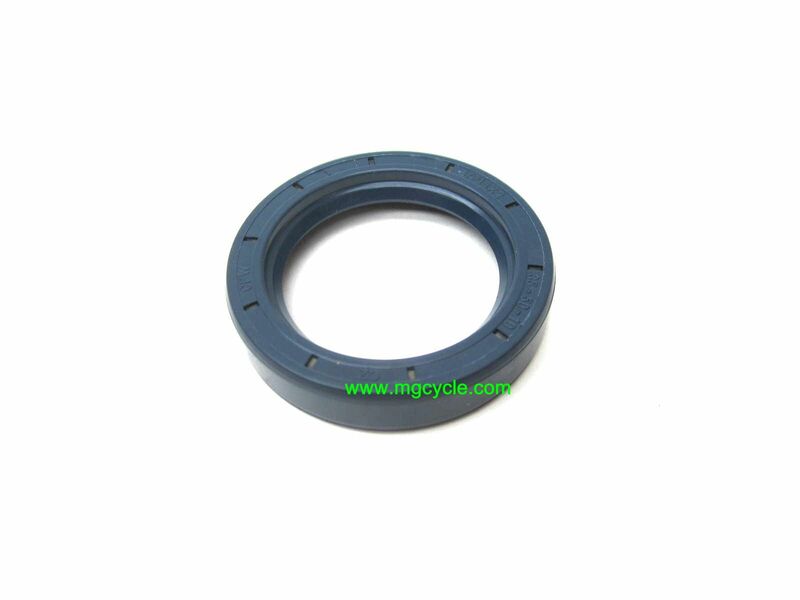 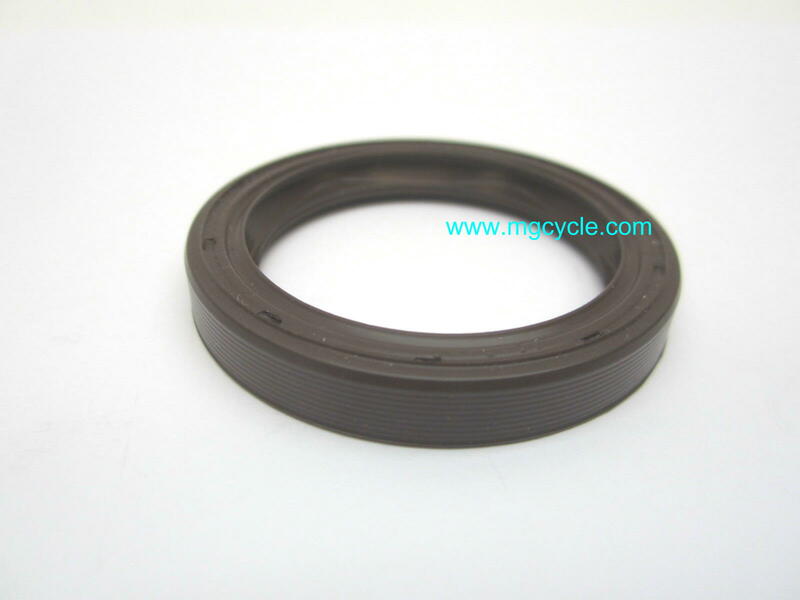 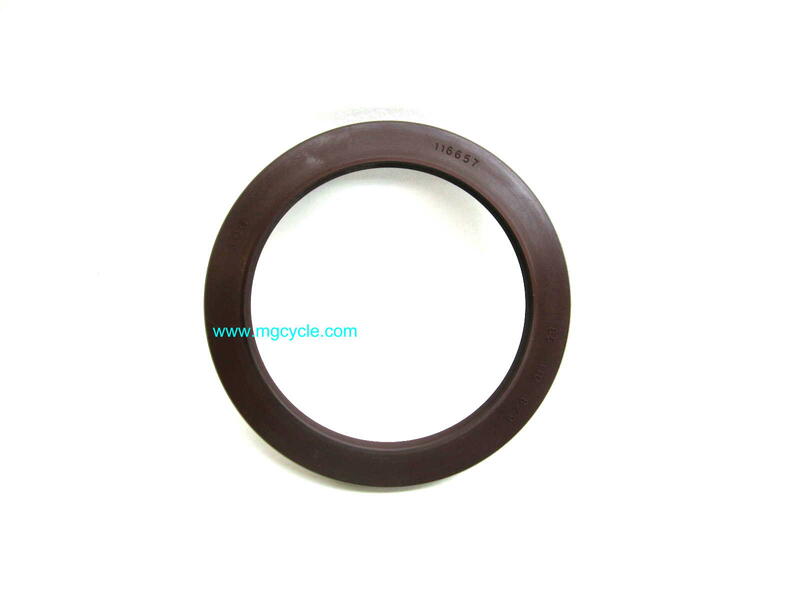 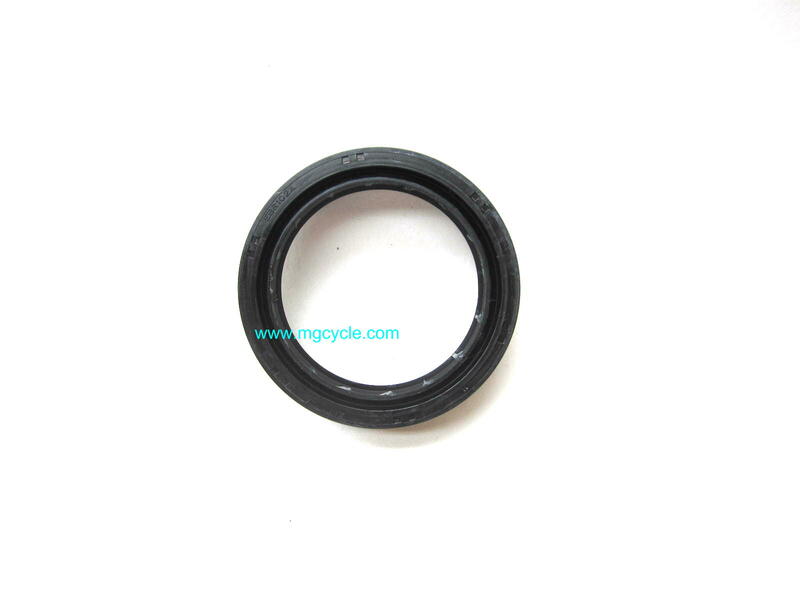 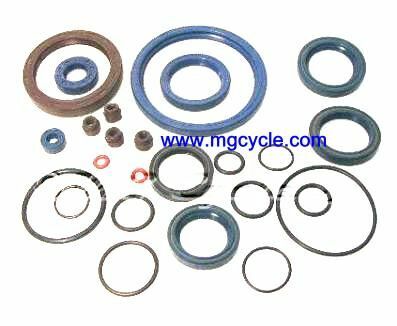 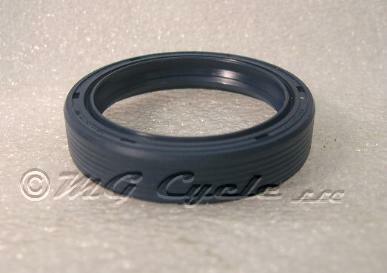 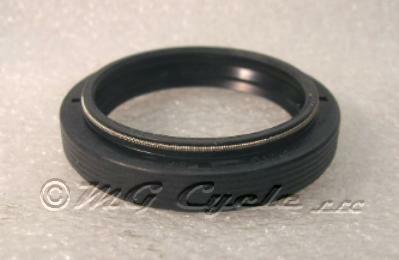 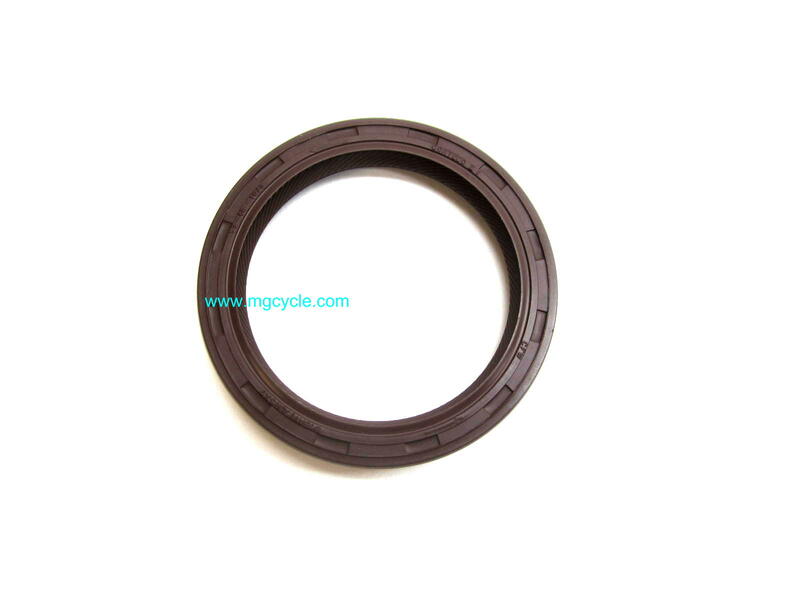 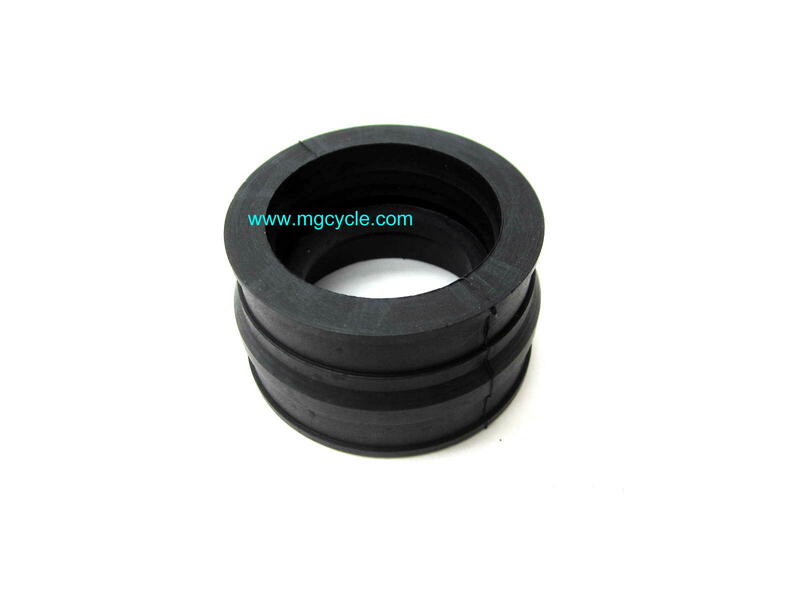 Quality fork seal for V700, 1969 to 1972 V750 Special, Ambassador, 850 GT, drum front brake Eldorado. 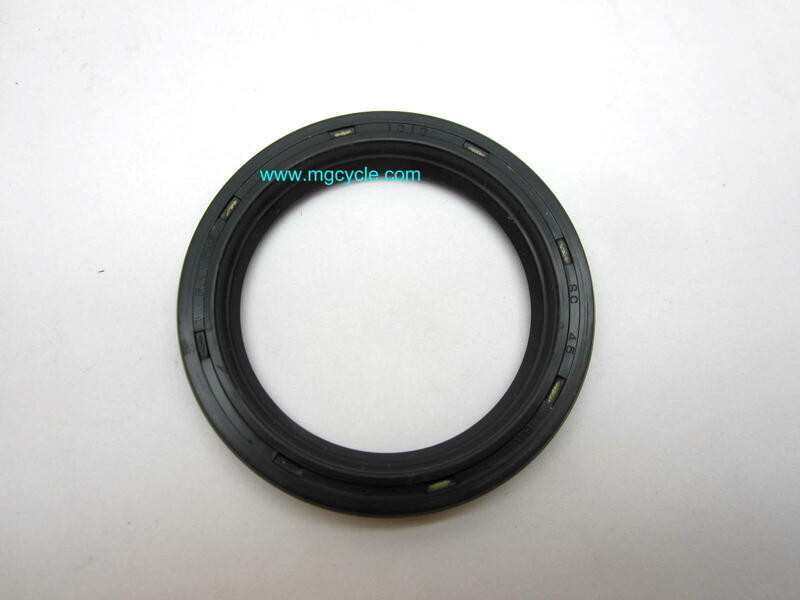 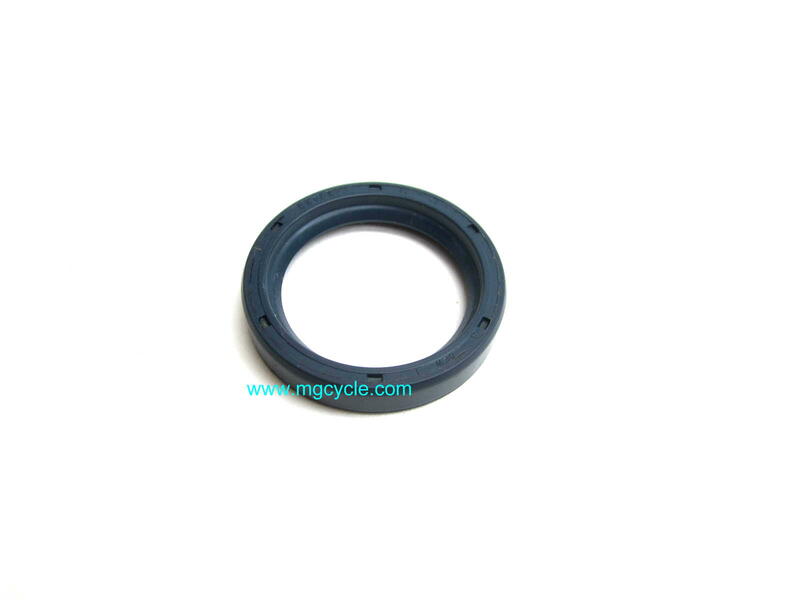 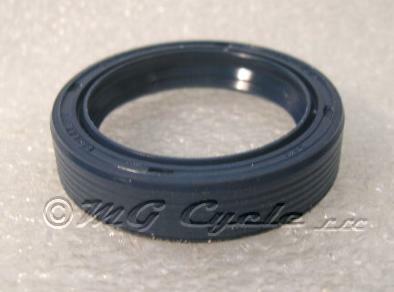 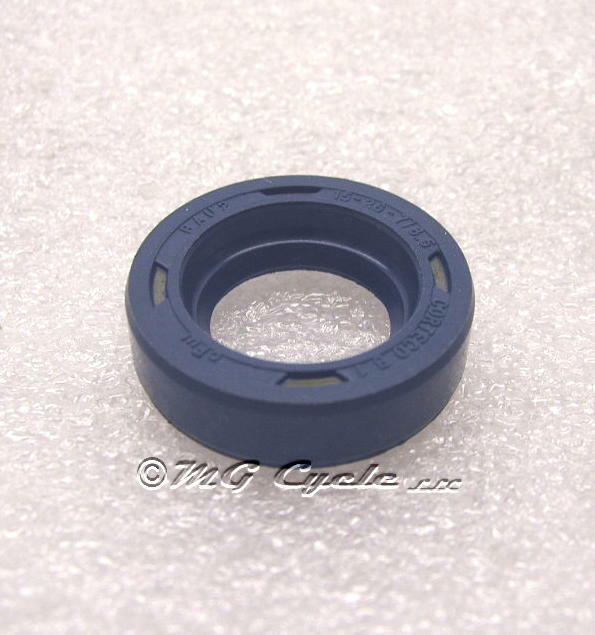 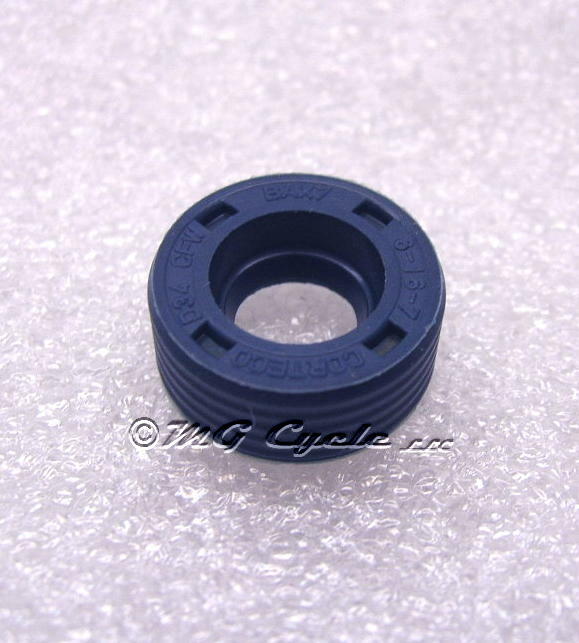 90403952 Fork seal 40mm for LeMans 1000 1985 to 87 (LM IV), LeMans 1000 1988 to 93 (LMV), SP III, Strada, California III, 1000S, some Mille GT. 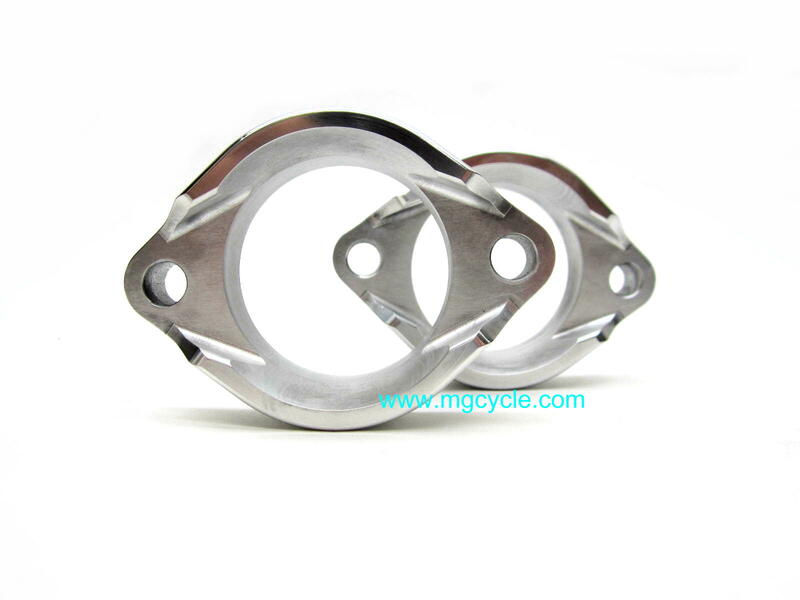 Pair of fork seals for all Griso models with Showa forks: Griso 850, Griso 1100, and Griso 1200 8V. 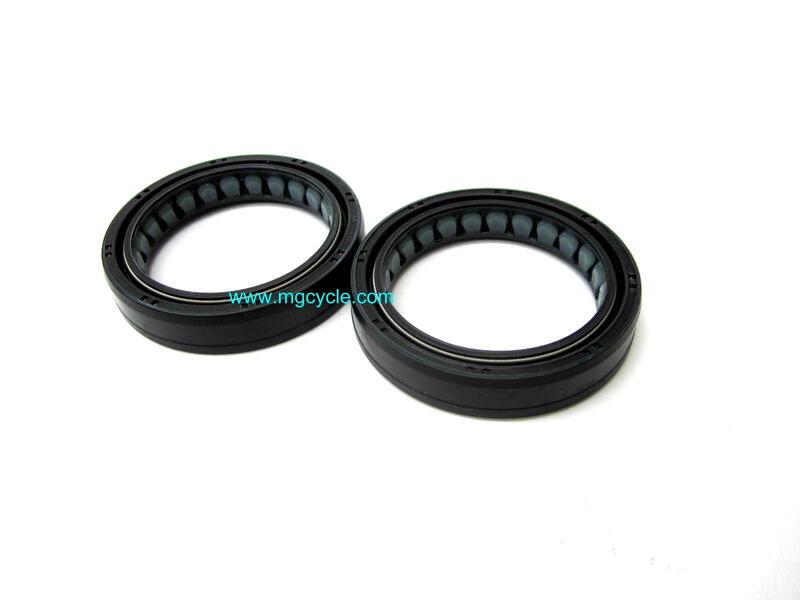 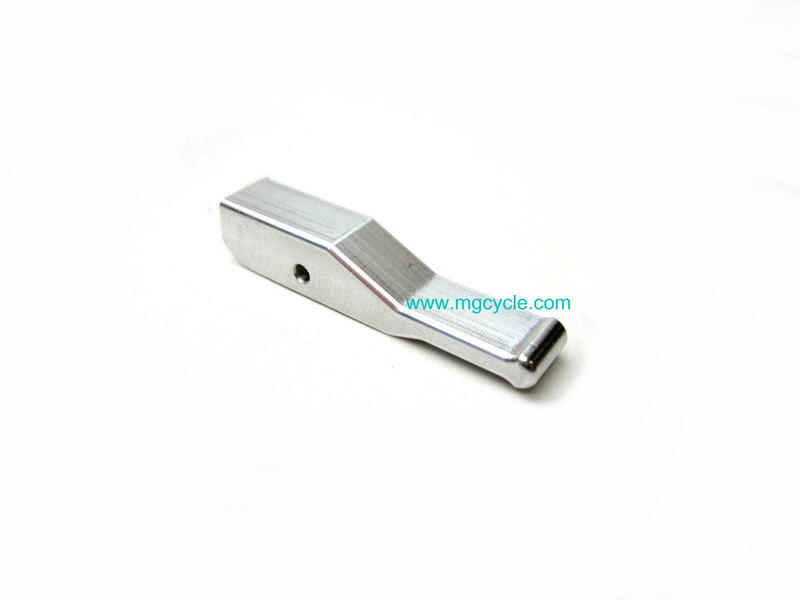 This is a pair of fork seals.